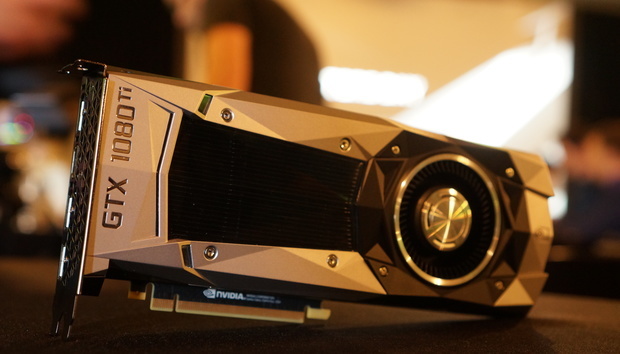 Nvidia may be preparing for the launch of new GeForce RTX 2070, RTX 2080, and RTX 2080 Ti graphics cards, but the existing GTX 10-series GPUs are still learning new tricks—like how to run AMD’s stutter-killing FreeSync display technology. GeForce graphics cards don’t officially support FreeSync—only Nvidia’s own G-Sync—but over the weekend Redditor u/survfate posted a guide on how to coax FreeSync into action on a GeForce GTX 1060, after another user teased the possibility last week. You’ll also need AMD graphics hardware in your system to get GeForce running FreeSync. The original post used a dedicated Radeon graphics card, though u/survfate’s guide relies on an AMD Ryzen 3 2200G APU with integrated Radeon graphics ($99 on Amazon). Beyond that, getting FreeSync running on GeForce graphics cards looks pretty simple. You’ll want to read u/survfate’s guide for the full nitty-gritty details, but the hardest part seems to be making sure your system runs through the AMD graphics instead of the discrete Nvidia GPU. To do so, head into your PC’s BIOS, find the Video or Graphics option—it may be hidden in an Advanced menu—and set the Radeon hardware as the primary adapter. Connect your monitor to the AMD graphics card (or your motherboard if you’re using a Ryzen APU), get FreeSync running on Radeon Software Adrenalin Edition, then head into the Nvidia Control Panel to force the game or application you want to run to use your GeForce graphics card, rather than the default AMD hardware. Bam! The next time you launch the game, it should tap into the Nvidia graphics card but still deliver the buttery-smooth gaming goodness of FreeSync. Check out his results and witness dogs and cats living together in the video above. Why this matters: Nvidia and AMD approach variable refresh rate technology very differently. Nvidia treats it as a premium feature, and implementing it requires dedicated display hardware, so you’ll only find G-Sync enabled in pricier monitors. FreeSync, meanwhile, piggybacks atop the VESA Adaptive-Sync standard, and AMD doesn’t hit monitor makers with royalties or licensing costs to use it. Because of that openness, you’ll find FreeSync available in a wide range of monitors, including damned affordable budget models like the $123 Acer KG221Q and $139 ViewSonic VX2457-MHD. This ingenious workaround unlocks wonderful, buttery-smooth variable refresh rate gaming for the masses of GeForce gamers who can’t afford a luxurious G-Sync display—as long as you have an APU or old Radeon card laying around, at least. There’s a decent chance Nvidia will try to plug this hole, so I wouldn’t counsel rushing to buy a FreeSync monitor just to exploit the trick, but if you have all the hardware needed to run FreeSync on a GeForce graphics card, you might as well give it a shot! A lot of newer gaming monitors include FreeSync as a checklist feature since it’s so easy to implement.